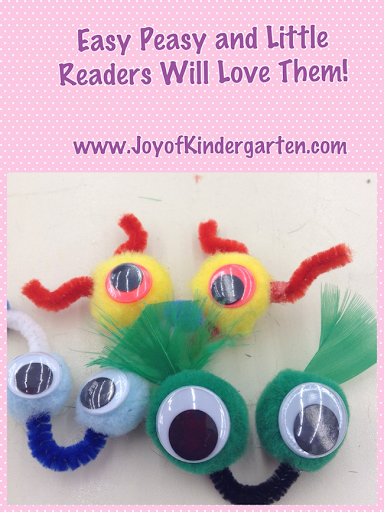 Easy Peasy Craft Your Little Readers Will Love!! I cut my pipe cleaner to 4 inches. The trick is to apply a dot of the tacky glue and then let it 'gel' a few minutes before you assemble. Trust me it keeps things from sliding all over and then it will dry evenly. Here are a few more I made but the possibilities are endless. 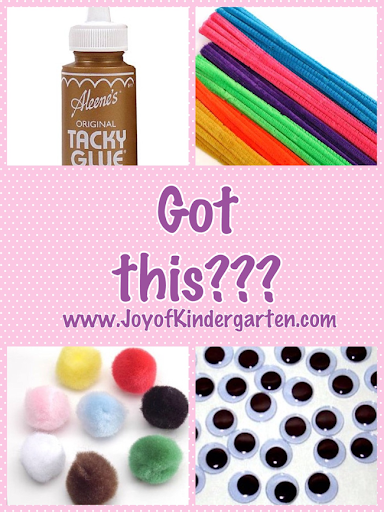 Littles could easily make their own, just use q-tips and a bit of glue on a recycled plastic lid. These are SOOOO cute!!! Thanks for sharing! I found the google finger things at Amazon. I love these! 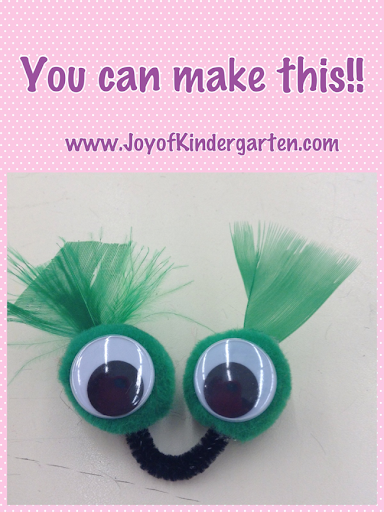 I think I might make these with my niece on Monday. She's almost 3 but we try to do a little craft each week. Plus I can make them for my class when she gets tired of them. Thanks for sharing! I love this idea!!! Going to have to make some! These are so stinking cute!!! your creativity leaves me in awe. Thank you for sharing. These are adorable! I actually just found them at Michaels this week but they were $2.99. At least you can use coupons and teacher discount!